I went in to Long & McQuade in Winnipeg o ck ot my tire uitar, I was looking for a high quality unit that I old grow into but still be in budget. Jeff how ed me a few options, this Seagull has such a unique tone, so crisp, I knew as soon as I heard it ghat it was coming home with me! The guitar has a very nice open, crisp, warm sound that I like to get from Acrustic guitars. The wood and build quality is very nice considering the price. 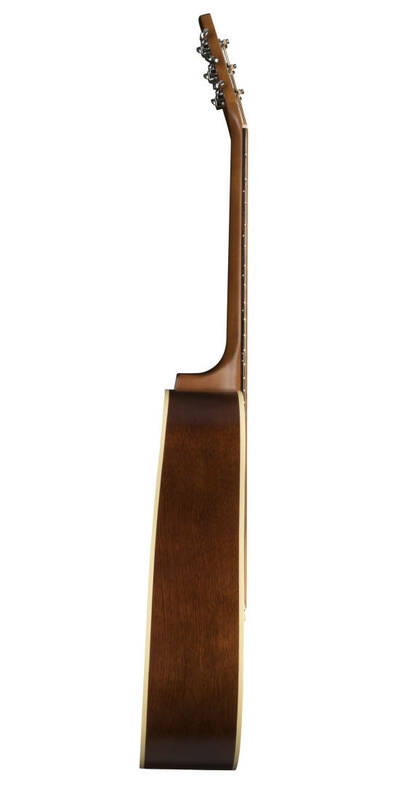 The spruce gives it a very nice tone and the cherry plays a nice supporting role for the spruce. One thing I did notice it the huge fret board. The fret board is very wide so it's hard to play chords in general. I personally don't see any benefit of having a wide fret board, but then, it's preference. Overall this guitar is great.